ESADE Business School, with campuses in Barcelona and Madrid, is a world leader in Executive Education, ranked consistently in the Top 10 worldwide by the Financial Times for the past 5 years. Our International Executive MBA programmes have been designed to meet the needs of global leaders and equip them with the skills and perspectives needed to manage and lead in multicultural and ever-changing environments. We support these leaders throughout their careers. The Executive MBA is a truly international experience for high potential managers looking for a challenging and inspiring programme to accelerate their career path. This 18-month programme is delivered on a monthly basis (3 days per month from Thursday to Saturday) alternating ESADE’s campuses in Barcelona and Madrid and including 4 international one-week Study Tours at top business schools in Brazil, Asia (either China or India), Washington and Boston. Participants take all the regular classes in a period of 14 months and then they have 4 additional months in which to complete their education with an extensive range of optional courses (including electives abroad in 12 different business schools all over the world) which will allow them to configure the area of specialisation based on their professional objectives and the direction they want their career to take. The class profile from last year was a group of 42 candidates with 12 years working experience in average from 31 different countries and 44% women a very diverse group of movers and shakers. The ESADE-Aalto MBA for Executives is a new 19-month innovative MBA programme structured in 8 intensive weeks taking place in Singapore, Barcelona, Helsinki and Vietnam. The programme places a strong focus on entrepreneurship, innovation, design thinking and doing business in Asia and Europe. This MBA has been designed for executives with a minimum of 10 years of work experience that are eager to develop their carer in global business, develop an innovative mindset and drive change in their companies through innovation. ESADE’s Executive MBA is a unique educational experience for professionals like you, open to new challenges, interested in taking their career to the next level, and committed to going the extra mile to transform their personal and professional future for the better. Length and Structure: 14 months core courses and 4 months specialization track. 4 international Study Tours: Brazil (São Paulo and Rio), Asia (China or India), Boston and Washington. 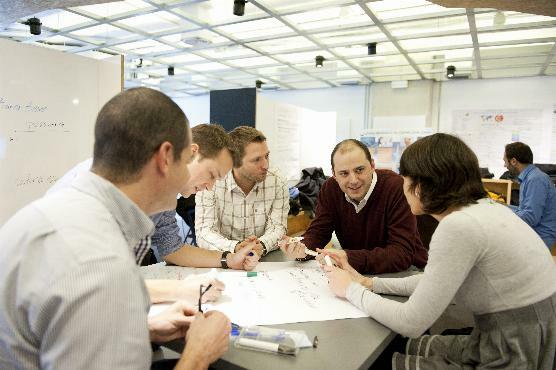 The new ESADE-Aalto MBA for Executives focuses on entrepreneurship, innovation and design thinking in Asia and Europe. It combines the strengths of two leading business schools to create a different kind of executive MBA program. Length and Structure: 19-months programme structured in 8 intensive weeks taking place in Singapore, Barcelona, Helsinki and Vietnam. Undergraduate Areas of studies: Business and Economics, Engineering, Humanities and Law, Science. *Tuition fees includes tutition, course materials, meals and Study Tours accomodation. It does not include flights. Tutition paid in four installments throughout the duration of the program. Scholarships and Financial Aid: Scholarships and financial aid are available to candidates.